Warmest Welcome to Golden Time Hostel 2! Our Hostel is located on the large & quiet Ly Thai To street which is very close Hoan Kiem Lake( symbol of Hanoi Capital), ANZ bank, Opera House ( was built in 1911 by the French), shopping area, just next to a bunch of traditional Vietnamese, Indian, Italian and Asian cuisine restaurants. Each room is equipped with facilities such as: antique wood furniture, wood floors, satellite TV, a mini bar, working table, wardrobe, bathtubs, air conditioning, telephone, and ADSL Internet connection for you convenience. We are one of the tallest buildings in the Old Quarter and have installed an elevator connecting the nine floors and 32 guest rooms for convenience during your stay. There is also a restaurant and bar on the 8th floor, offering European and Asian food for breakfast, lunch and dinner and surely, a royal view of Hanoi. With our new look we aim to create a new standard of hotel service in Hanoi that is honest, helpful, friendly, and informative. To make your holiday stress free you can book tours and transportation in the hotel. * High speed internet (ADSL)access cable, wifi free of charge. * Luggage Porter & Storage room . * House keeping on 24/ 24h..
_ Taxi airport pick up and drop off : $US 15/way. - Daily city tours and surrounding like Hoa Lu, Tam Coc , Perfume Pagoda, handicraft or traditional villages. - Organising the packages tours to Halong Bay, Sapa, etc. Thank you for choosing Golden Time Hostel 2 for your accommodation in Hanoi. We look forward to serving you. Best regards and good luck to you ! Golden Time Hostel Management Team. 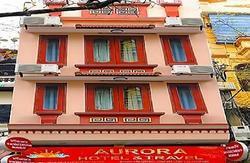 Our Hostel is located in the centre of Hanoi French Old Quater on N 8 Ly Thai To street, Hoan Kiem, Hanoi, Viet Nam. * Our Hostel is about 30 km a way from Hanoi International airport( it takes 45 minutes driving by taxi or mini Van). * Only about 4 km and 3 km from main Bus stations and hanoi Railway Station. 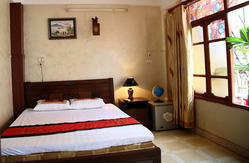 * Our Hostel is also located near Hoan Kiem lake which is symbol of Hanoi Capital City( 2 minutes walking).